Port Elizabeth - To do the same thing a hundred times over can be exhausting, to say the least, but not for Southern Kings lock, Dries van Schalkwyk, who this week will run out for the 100th time in the PRO14 when the Port Elizabeth-based side takes on Welsh outfit, the Dragons. Coincidentally, the 34-year-old Van Schalkwyk will be facing the very same opposition he squared up against when he made his PRO14 debut seven seasons ago. “When I started off I had no idea of what the picture would end up looking like - I just wanted to play rugby,” Van Schalkwyk remembered. “My first PRO14 match was against the Dragons when I played for Zebre in Italy,” Van Schalkwyk reminisced. “I remember how I did not understand anybody at the time because they all spoke Italian, and here I was - an Afrikaans boy from South Africa. In that match, whenever they passed the ball to me, I just took it and ran. Then after the game the coach came to me and said ‘you play like that, you stay’ - that is all the English he could speak. In 2017, the hard-working forward made the trek back home to South Africa when he joined the Southern Kings in their first season when they joined the expanded PRO14 championship. 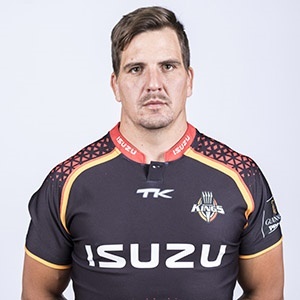 “For Dries to play 100 games in PRO14 Rugby is a huge achievement,” Southern Kings coach Deon Davids said. Playing his 100th match is something Van Schalkwyk holds dear to his heart. “I’m very grateful that coach Deon brought me back to South Africa,” the soon-to-be centurion said. Van Schalkwyk finds the occasion even extra special as he gets to share it with another workhorse in Berton Klaasen, who will be making his 50th appearance for the Southern Kings after amassing half a century of matches in both the PRO14 and Super Rugby competitions for the Port Elizabeth-based side.